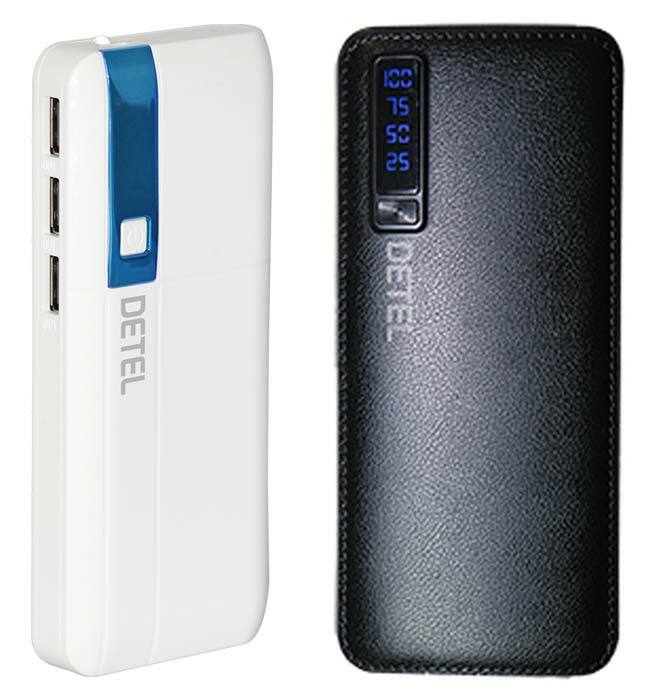 Economical feature phone manufacturer Detel has launched two new powerbanks dubbed as Detel Style and Detel Swag in India. Both powerbanks come with 10,000mAh capacity and are priced at ₹799 each. Both powerbanks include three USB 2.0 ports and are compatible with all iOS, Android & other USB-powered devices. Also, these support Quick Charge, 9-layer circuit chip protection and feature LED indicators & Torch. Detel has also said that these powerbanks are manufactured with multiple safety protection systems and goes through stringent quality testing with meticulous inspection at each stage. You’ll get 1-year warranty for both powerbanks. Along with the two high-capacity powerbanks, Detel has also announced two Car Chargers namely Detel DC 24 and Detel DC 34 priced at ₹299 and ₹399 respectively. According to Detel, these car chargers are compatible with most of the cars and also include smart safety systems that protect the gadgets from over current, overcharging & overheating. The USB output current of the DC24 and DC34 are 2.4A and 3.4A respectively. These powerbanks and chargers will be available for purchase on Detel’s Website, B2BAdda, & also through major offline distributors across India starting 13th November 2018.